Professor Zhu obtained his Ph.D. in Anthropology from The Chinese University of Hong Kong. 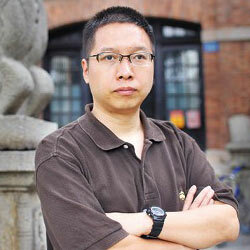 He is currently Professor of the School of Sociology and Anthropology at Sun Yat-sen University. He was a Fulbright visiting scholar at Lilly Family School of Philanthropy, where he completed the Certificate in Fund Raising Management from The Fund Raising School. His major publications are Between the Family and the State: Ethnography of the Civil Associations and Community Movements in a Shanghai Linong Neighborhood and Power of Action: Cases Studies of Private Volunteer Organizations. He is the chief editor of the Blue Book Series of Civic Philanthropy and the Journal of Civil Society. He currently serves as Board Member of International Society for Third-Sector Research (ISTR). He was a visiting scholar at Harvard University from 2007 to 2008.